Founded in 1824 as the Leeds Mechanics Institute, then gained its University status in 1992, Leeds Beckett University is one of the most popular universities in the UK with 30,000 students pursuing Leeds Beckett programmes in the UK and overseas offering students 190 years of teaching experience. The university have successfully held the Customer Service Excellence accreditation since 2013, reflecting its positive and decisive commitment to its students, staff, partners, visitors and Board of Governors. The recent Research Excellence Framework review the university’s research rated as ‘world-class’. In the most recent Research Assessment Exercise, Leeds Beckett University has strived and successfully achieved the highest levels of 4* and 3* rating for Sports-Related Studies, top 6 institutions in the country. Leeds Beckett University is proud of its various award winning buildings. Broadcasting Place (Best Tall Building in World, 2010) provides creative environment and the latest technology to art, design, fashion, architecture and built environment courses. The Rose Bowl (Design Excellence Yorkshire Property Industry Awards, 2010) with its outstanding business hub reputation offers impressive teaching spaces, lecture halls and conference facilities. Carnegie Village (BREEAM Multi Residential Award, 2010) is a pleasant comfortable and modern accommodation complex available to the students. Carnegie Pavilion (Design Excellence Yorkshire Property Industry Awards, 2010). All of Leeds Becket University courses are designed to develop and foster three key attributes in a student: Enterprise Skills, Global Outlook and Digital Literacy. Popular courses international students enrolled are Accounting & Finance, Business & Management, Civil Engineering, Communication & Media Studies, Computer Science, Hospitality, Leisure, Research & Tourism and Law. Leeds International Study Centre provides international students (minimally with O Levels) study pathways into two outstanding universities – University of Leeds and Leeds Beckett University. Students who enrol into Leeds International Study Centre programs will be taught academic and study skills, in addition improving their English language to prepare for studying their chosen degree in either university. The International Study Centre is located in Leeds, Yorkshire, a vibrant city and the third largest city in the UK. Home to the renowned Opera North, Leeds Art Gallery and Henry Moore Institute, the city has a solid reputation for performing arts, galleries and museums. Throughout the year, the city comes into live hosting major events and festivals such as the West Indian Carnival, the oldest Caribbean festival in Europe and the famous Leeds Festival, one of the biggest annual live music events in the UK. For shopping lovers, Trinity Leeds located in the city centre has more than 120 shops, restaurants and bars under one roof. Leeds city is also home to the biggest indoor market in Europe, the Leeds Kirkgate Market and the Victoria Quarter an 18th century shopping arcade. Indeed, Leeds is an exciting place for students to live and learn. Leeds International Study Centre provides two pathways to entry into its two associated universities – International Foundation Year Program (University of Leeds and Leeds Beckett University) and International Year One Program (University of Leeds). The International Foundation Year program is designed to prepare international students for the challenges ahead when in university and assist in the development of skills and knowledge necessary to succeed at university and beyond. Both University of Leeds and Leeds Becket University offer two subject routes which are Business, Law and Social Studies, and Science, Engineering and Computing. Students who wish to enrol can opt to join either in September or January. The length of the course spans two semesters (8 months). 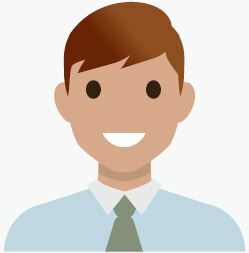 Upon successfully completing the course and achieving the required grades, student will then be able to start their chosen undergraduate degree. In addition, University of Leeds offer international students the International Year One program. Two semester course is equivalent to the first year of an undergraduate degree. The University offer International Relations as a subject route. Students will study a combination of core and subject-specific modules most relevant to the degree student plan to pursue. 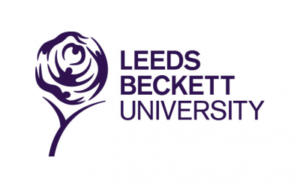 Fill in the form below to schedule with us an appointment to meet with representative for Leeds Beckett University.